After a successful Back a Buddy campaign, Shark Spotters launched their free shark safety smartphone app in the summer of 2016. 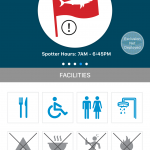 The app has had excellent uptake by water users of all stripes, but I’d like to draw it to your attention in case you aren’t familiar with the ways in which it can make your beach life better and safer! 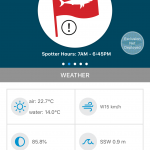 Whether you’re a surfer, a diver, an ocean swimmer, a beach comber, or someone who looks forward to long summer days under an umbrella on the sand, the Shark Spotters app can make a difference to you. 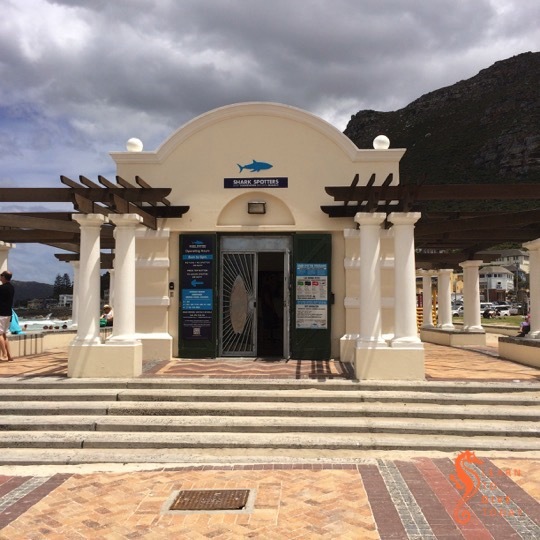 Shark Spotters operate at eight beaches around the Cape Peninsula: four (Muizenberg, St James/Kalk Bay, Fish Hoek & Caves, Kogel Bay) year-round, and another four (Glencairn, Clovelly, Monwabisi and the Hoek, Noordhoek) from October to April, during the warmer months. 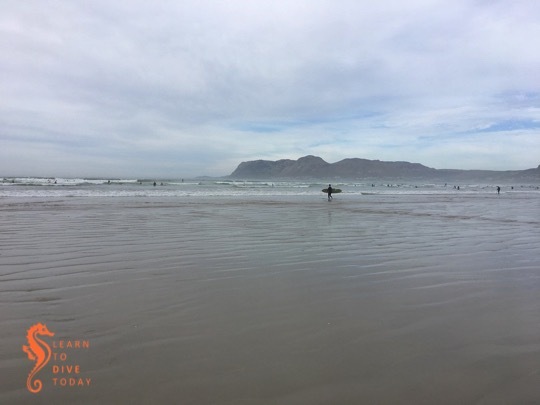 The app allows one to set a home beach – you can see from the image above that mine is Fish Hoek – and when you start the app, you’ll get information for your home beach immediately. Tapping on the home beach block at the top of the screen (where it says “Tap for more”) brings one to a series of screens that you can navigate through by swiping the bottom block on the screen. The information provided is extensive. 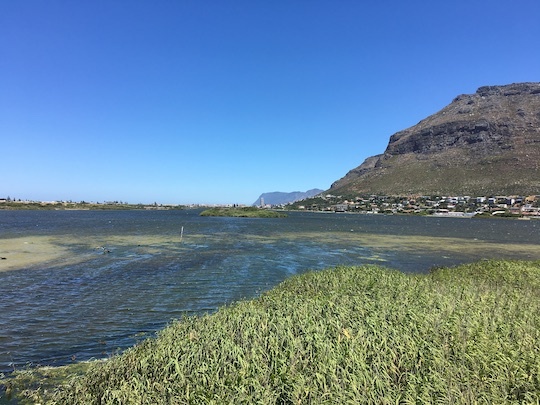 You can see information on the last three shark sightings at your home beach, the weather and sea conditions (temperature, wind direction, tides, moon phase, swell), and information on what marine life is in the area. This latter information is not a nice to have so you can look out for dolphins from shore, but an important indicator of the likelihood of a shark being in the area. Dolphins, rays and schools of fish can draw white sharks, while sunfish (and even seals) may be mistaken for a shark when viewed from a distance by an untrained observer. 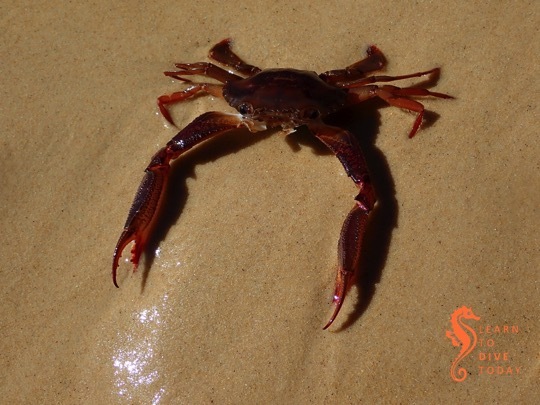 There’s also information on what facilities are available at the beach, and a short video for each beach, usually taken each morning, showing the prevailing conditions. 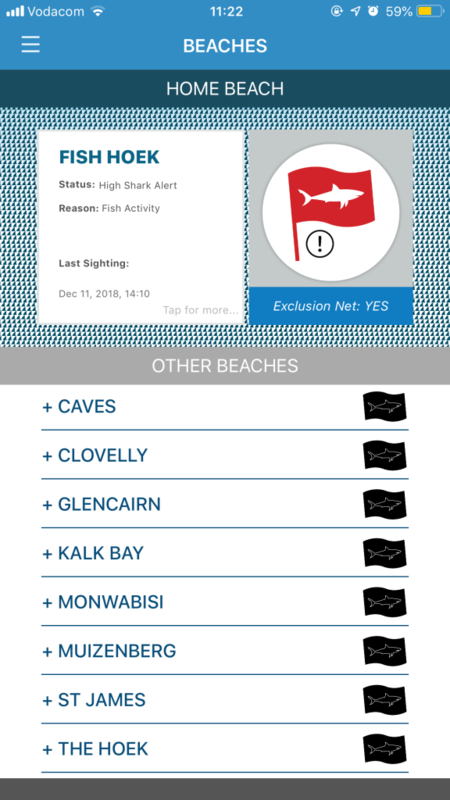 All this information is available for all the Shark Spotters beaches, not just your home beach, and you can view a different beach by selecting it from the list that appears under your home beach on the home screen. 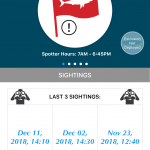 Digging into the app, you can find a detailed list of all the recorded shark sightings, and in the settings you can turn notifications of sightings on or off according to your preference. I have them switched on, because I like to be reminded of a world outside the office. 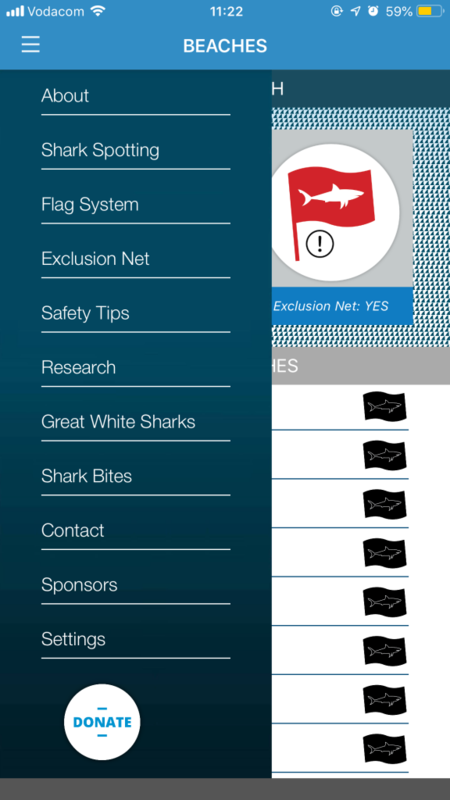 The further menu options, shown above, give you access to a large amount of data about the Shark Spotters program, the exclusion net at Fish Hoek beach, how the flag system works, great white sharks, and more. Most of the menu options also provide links to more detailed information online, if you want to know more. 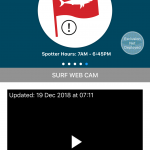 You can download the app for iOS here, for Android here, or use the download links from the Shark Spotters website. 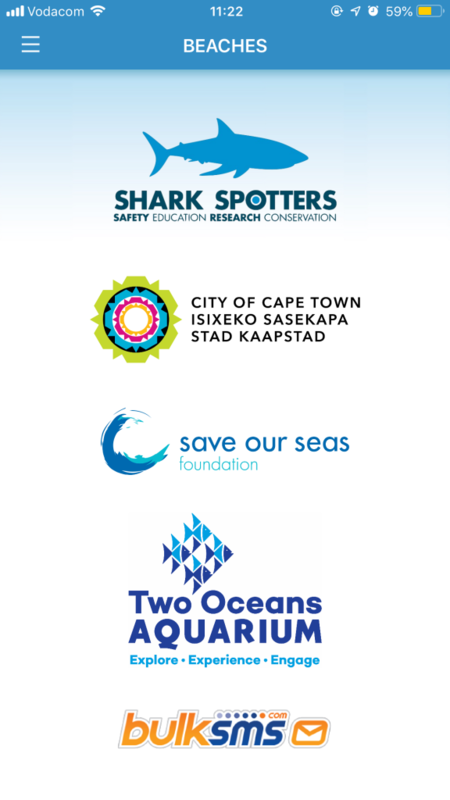 The app is completely free of charge, but Shark Spotters is funded by the City of Cape Town, Save Our Seas Foundation, and other generous sponsors, including individuals. Shark Spotters welcomes donations. Click here to donate. The forecast today is a little better for the weekend than it was earlier this week. There is some wind and some odd swell and swell direction changes but I believe it should be worth diving both Saturday and Sunday. Sunday will most likely be a little better. I have students on the boat on both days so there is not much space, however, if you are quick you can reserve a spot! It’s not as if one needs to actively seek out extra commitments at this time of year, but in case you’re at a loose end check out Wavescape’s Slide Night happening on Monday (you need to book in advance for this). 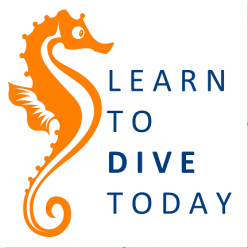 You can get some adult education at UCT’s annual Summer School in January, and there’s something for you whether your interest is sharks or shipwrecks. 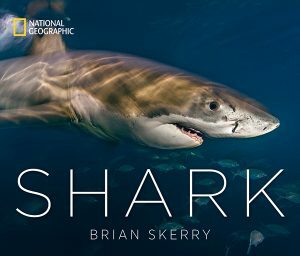 Brian Skerry is a National Geographic photojournalist, with whose TED Talk you may be familiar. This book is a collection of articles – about sharks – that appeared in National Geographic magazine, accompanied by one magnificent shark photograph after another. Each chapter’s text is reasonably short. Here, the photos are the primary focus. The chapters focus on four species of shark: great white, white tip, tiger sharks, and mako sharks. Additional text is contributed by several National Geographic writers, and experiencing the familiar editorial quality and stylistic approach of the magazine is like settling down for a chat with an old friend. 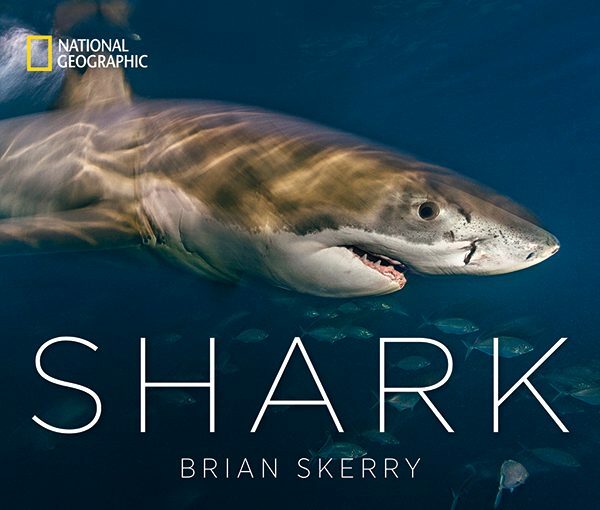 The final chapter of the book, written by Skerry, is an appeal for increased understanding of sharks and their vital place in ecosystems, and increased protection for them – in the form of marine reserves, and less fishing, for example. 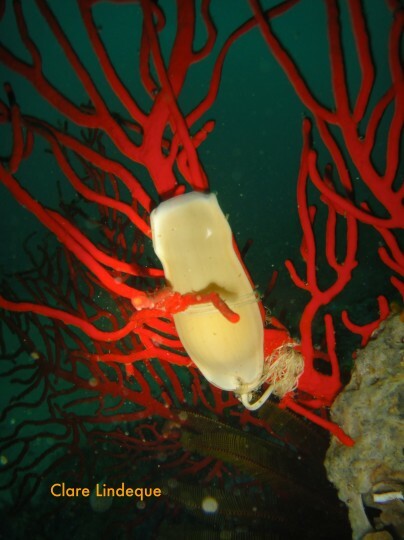 The photographs selected for this chapter makes it clear that in Skerry’s view, science (especially tagging studies) is vital to the endeavour of better understanding sharks, and protecting them. 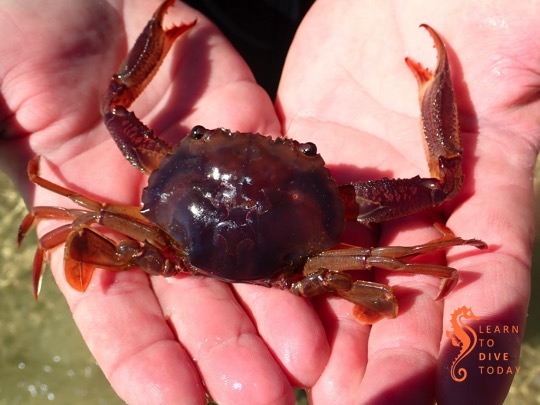 Autumn is a good time for False Bay diving! False Bay is currently pleasant, not too cold and the weekend does look decent after the latest weather updates. My plan is shore dives on Saturday, when it will be a little more windy, and boat diving on Sunday. Let me know if you’d like to get in the water. Don’t forget to donate to the Shark Spotters crowd funding campaign to raise funds for new high powered binoculars for the spotters. 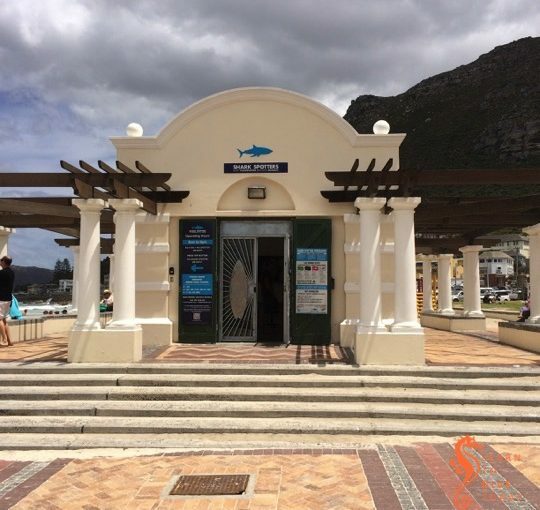 Shark Spotters does fantastic work – read more about it here and here. You should also make sure you download their very cool shark safety and beach information app – available for both Android and iOS. Traditionally Easter is a difficult time for diving. Many people are away and the weather does not always play ball. 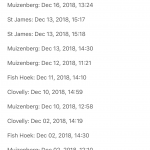 Add to this the traffic congestion from the Two Oceans marathon on Saturday… This weekend we may dive from Hout Bay on Sunday or Monday, or perhaps shore dives from Long Beach, wind dependent. 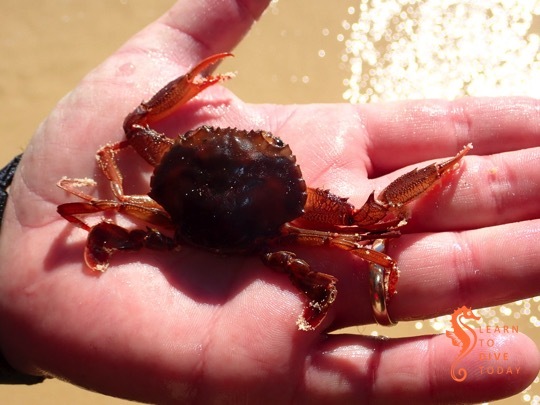 We are out tomorrow on a full day private charter but I do think Long Beach will be a good option if you feel like shore diving. On the marathon topic, watch this video and see how the Two Oceans Aquarium and Old Mutual are teaming up to reduce the use and impact of single use plastic, and learn about the aquarium’s turtle rehabilitation program. This article on how to responsibly stockpile (or just purchase) bottled water, is very helpful if you’re working on water security at home, but don’t want to contribute to an environmental apocalypse. We have had more diving days this summer than is usual, and 2018 has started well with pretty good conditions and warm water… There have also been a few darker days. 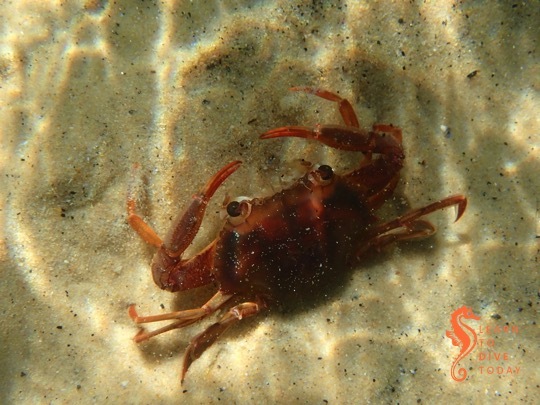 On Monday we were in Smitswinkel Bay with 1 metre visibility, but it looks good for the weekend. We had 19 degree water with 5 metre visibility at Ark Rock today, and I hope for the same thing tomorrow. Saturday will be a bit windy, so we will plan for Sunday in False Bay. The most likely sites will be Roman Rock and Shark Alley, I would like to see a bit more of the sevengills after their long vacation. If you want to dive, let me know. Nicole’s story is not new, and can be summarised briefly. She was a great white shark, tagged in Gansbaai near Dyer Island in November 2003. In February 2004, Nicole’s tag popped off as scheduled, 11,000 kilometres from where she was tagged, in a location off Western Australia. 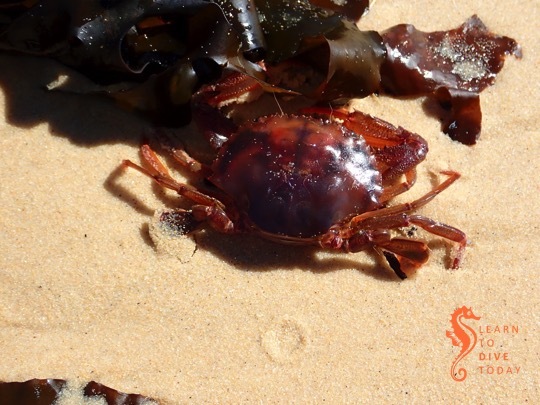 In August 2004 Nicole was again identified in Gansbaai, having made the return journey. It was the first, furthest and fastest recorded transoceanic migration by a white shark. Its most important consequence was that it provided scientific grounds to advocate for extended protections for white sharks, outside of South Africa’s territorial waters. The book Nicole chronicles Nicole’s journey, and the work of the researchers who studied her, many of whom have gone on to illustrious careers (but be warned, the names of several of the scientists are subject to creative misspellings). The book beautifully put together, with a lot of photographs. This and the simple, vivid writing style make it an ideal gift for shark-obsessed youngsters. 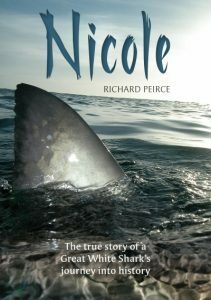 In imaginative interludes the author describes what Nicole might have experienced as she swam to Australia and back. 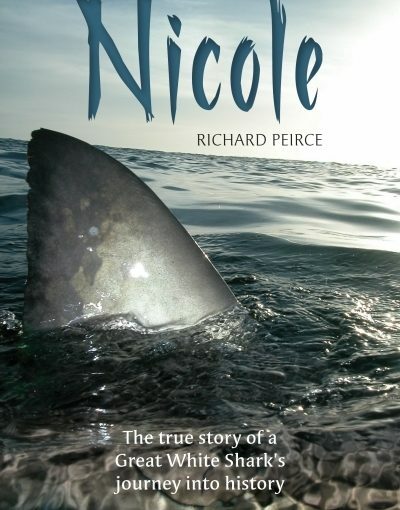 The scientific paper describing Nicole’s migration can be found here (paywalled) and here (pdf), and there’s some excellent information about Nicole on Michael Scholl’s White Shark Trust website. He was the researcher – now CEO of Save Our Seas – who identified Nicole’s distinctive dorsal fin on her return to Gansbaai. Read a review of Nicole and an interview with the author here. Get a copy of Nicole here (South Africa), or here. I insensitively packed this book for Tony to read while we were aboard MSC Sinfonia for the BirdLife cruise we took in April. 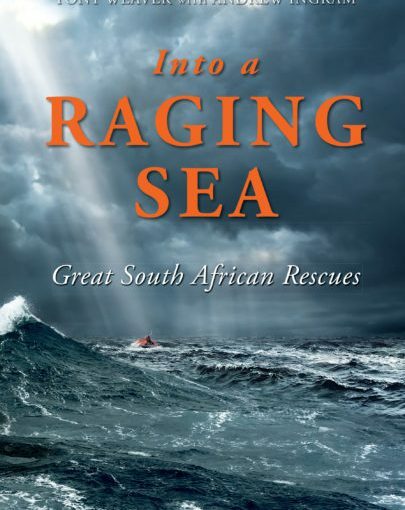 It’s a rip-roaring read about various rescues that the NSRI has been involved with over the years, but – perhaps unsurprisingly – Tony wasn’t keen to read about maritime disasters (even ones that ended well) while we were at sea. The book was produced to commemorate the 50th anniversary of the NSRI. There is an element of history – describing the origins of the organisation, and some “sea rescues of yesteryear”. But the bulk of the book describes rescues that took place in the last 15 years. 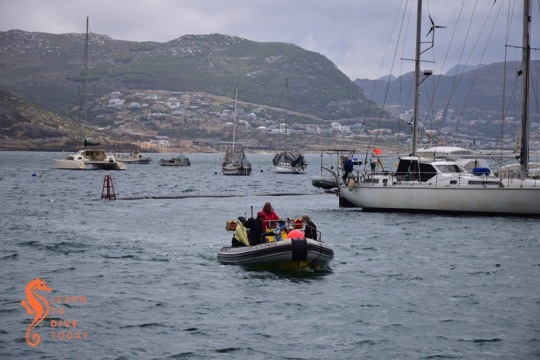 Some of them, such as the sinking of the whale watching boat Miroshga off Hout Bay’s Duiker Island, will be all too familiar from the ensuing press coverage. Others were less familiar, but no less interesting to read about. One of the things I loved about this book was that it reveals the men and women behind the daring, often dangerous rescues. The rescuers are allowed to recount the events they experienced, using their own words, and this is revealing. These rescuers are not usually lionised by the general public or, as a rule, afforded prolonged media attention, and neither does this book glamorise them or romanticise their achievements. 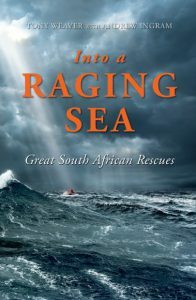 The challenge of the rescues – and occasional raw fear felt by the rescuers – are vividly portrayed. The writing is beautifully matter of fact, without downplaying the seamanship, strength of character and perseverance required to do this (unpaid) work. It reminded me fondly of the “drama in real life” stories that I used to devour from the pages of the Readers Digest magazines my grandmother used to bring whenever she came to visit. There are many, short chapters, each one offering its own little catharsis. 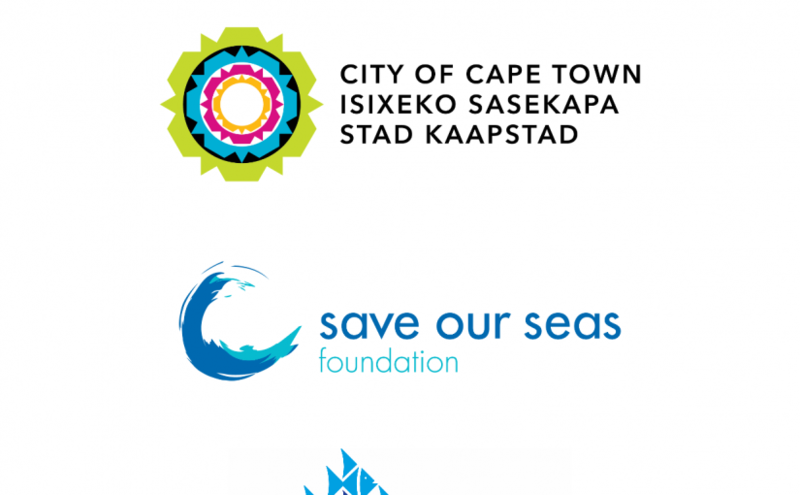 The rescues span South Africa’s coastline, as well as a few other locations, and not all of them are maritime disasters. Proceeds of this book support the NSRI. Get a copy for yourself, and all your friends. It will entertain anyone who loves a good story of heroism and adventure, and it will encourage anyone who’s feeling jaded about humanity’s capacity for good. It’s an excellent read. You can find a copy on Loot if you’re in South Africa, otherwise here or here.